d.maznekov added Q646: (stable) Promote 2019 Week 1 - don't work mail (Answer 569). d.maznekov updated the question details for Q646: (stable) Promote 2019 Week 1 - don't work mail. d.maznekov asked Q646: (stable) Promote 2019 Week 1 - don't work mail. d.maznekov added a project to Q641: Some .h files don't shown in Diffusion? : Diffusion. d.maznekov asked Q641: Some .h files don't shown in Diffusion?. d.maznekov awarded T12941: missing mysql extension incredibly difficult to debug a Love token. d.maznekov awarded T7260: EXCEPTION: (AphrontCharacterSetQueryException) Attempting to construct a query using a non-utf8 string when utf8 is expected a Orange Medal token. d.maznekov added a comment to D17541: Don't show the "Override Lock" prompt when creating objects. d.maznekov added a comment to T12369: Users sometimes prompted to "Edit Locked Task" when attempting to create a new task. I even get the same error every time creating a new task. It seems related to Maniphest Policies. What solves the problem is setting Default View Policy and Default Edit Policy to All Users. Yes, we have several Spaces. But 90% of users are member to default space arranged by Custom policy if understand right report of reproduction bug coming from @cspeckmim. I'm a user part of all spaces and I'm facing again that Locked task error. The form for Create Task is common for all Spaces ( Default Create Form·Edit Form ). Default edit policy is only for subscribers. d.maznekov added a comment to T12335: Ability to lock a task to prevent further edits. Any resolution/guide how to avoid that obstacle ? Still facing the problem with Locked task in any new task created. Even on new install. It's database/app config. Please guide where to check about that "locked task" flag BEFORE is created object. Brand new install on another VM, same Database server - same error. So can assume that the bug comes from data stored in database. Ok, so I have several custom fields in forms such Task or New bug. Could that lead to that de-effect ? I'll wait Friday stable.... today I've switched from stable to master branch. The install is if I can say untouched and every Friday updated. Just git pull in 3 dirs and that's all. Use well known bash script for that. All customization and setups are stored in SQL database. What else steps to report - just pressing New task and appears that. Is it an option to clean up folder and make clean git clone ? If tomorrow stable don't resolve that nasty problem will proceed with clean install. Usual "here in my machine works fine". Or just give a joker where to look after for raised flag of locked task or like that. d.maznekov updated the task description for T12369: Users sometimes prompted to "Edit Locked Task" when attempting to create a new task. d.maznekov created T12369: Users sometimes prompted to "Edit Locked Task" when attempting to create a new task. d.maznekov marked Q584: Edit Locked Task message ?? (Answer 525) as visible. I have to report a possible bug as asked in Q584. d.maznekov closed Q584: Edit Locked Task message ?? as resolved. d.maznekov added Q584: Edit Locked Task message ?? (Answer 525). d.maznekov updated Q584: Edit Locked Task message ?? from to Edit Locked Task message ?? . d.maznekov added a comment to T12112: Upload file stalles network connections . What branch you checkout - master or stable ? Never mind, I found what you've done, sorry. With that charge you can retire at that moment ... ridiculous. I'm pretty sure in lab clean env from scratch all will works flawlessly. The point is in working environment. Should be some guide where to dig for a problem. Anyway will try with new clean install and migration of real data. Is it test facility Master branch synced. Because there all works but here is master updated not stable. I'm afraid that can't revert to Stable due to database changes. d.maznekov updated the task description for T12112: Upload file stalles network connections . Additional info - Phab is updated to Master stream after appearance of problem. d.maznekov created T12112: Upload file stalles network connections . d.maznekov updated the question details for Q535: Can be changed Default Space ?. d.maznekov updated Q535: Can be changed Default Space ? from to Can be changed Default Space ?. 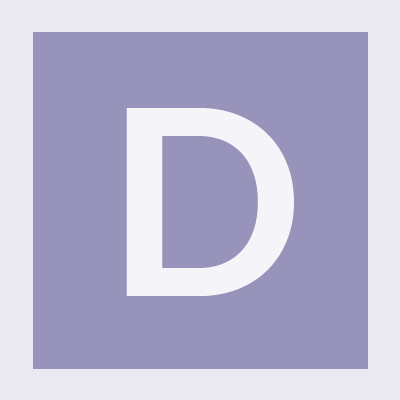 d.maznekov added a comment to T11899: Ability to add Room per Project. Why? We set up email integration before, but each task needs to have specific projects so that didn't work and now I'm stuck doing the entry by hand. This is in the realm of reasonable, and likely easy to solve with custom inbound addresses and Herald rules, or with a small extension to Herald. We might try to improve the documentation to make the feature easier to discover or understand. d.maznekov created T11899: Ability to add Room per Project. d.maznekov created T11898: Room per project. d.maznekov merged task T11653: Take over (forcibly) Permisions of Project into T10255: Edit permissions for Project (before and after some update of Phabricator). d.maznekov merged T11653: Take over (forcibly) Permisions of Project into T10255: Edit permissions for Project (before and after some update of Phabricator). d.maznekov added a comment to T11653: Take over (forcibly) Permisions of Project. d.maznekov merged task T10255: Edit permissions for Project (before and after some update of Phabricator) into T11653: Take over (forcibly) Permisions of Project. d.maznekov merged T10255: Edit permissions for Project (before and after some update of Phabricator) into T11653: Take over (forcibly) Permisions of Project. d.maznekov renamed T11653: Take over (forcibly) Permisions of Project from Permisions of Project to Take over (forcibly) Permisions of Project. d.maznekov created T11653: Take over (forcibly) Permisions of Project. d.maznekov closed Q443: How to create Panel with Closed task as resolved. 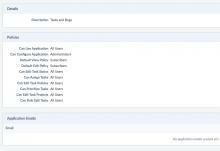 d.maznekov added Q443: How to create Panel with Closed task (Answer 418). d.maznekov updated Q443: How to create Panel with Closed task from to How to create Panel with Closed task. d.maznekov awarded T4207: Implement (tree) subtasks, as distinct from (graph) task dependencies a Mountain of Wealth token. d.maznekov awarded T10922: Upgrading: New Repository UI, APIs, and URI management a Like token. d.maznekov added a comment to T10922: Upgrading: New Repository UI, APIs, and URI management. Good time of day palls. How to add tag (respectively connect repo to project) in that new style ? I'm asking because till now all our commits to HG repo was referenced to task with keywords like "ref" or "closes" etc. Can't reference or act to any task/project with commits? Or I miss something but can't find even add tag command. Please advice, thanks in advance ! Herald updated subscribers of T10034: Plan the future of Maniphest task relationships. 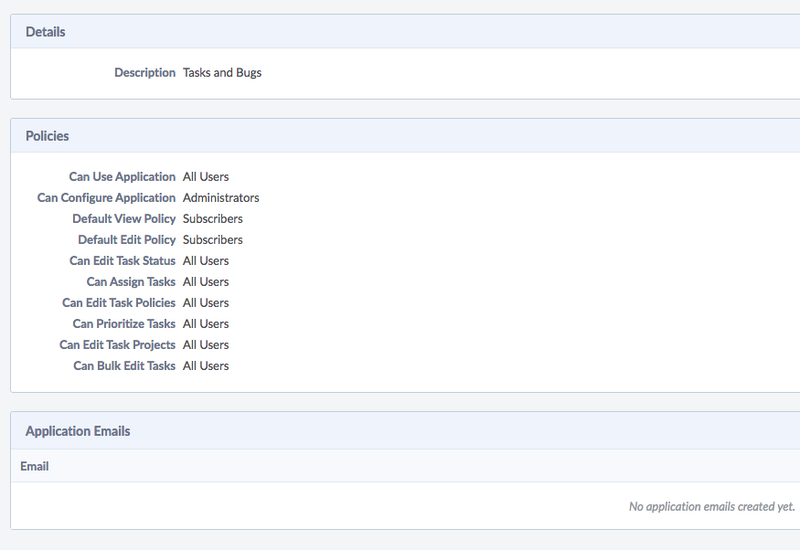 d.maznekov added a comment to T10255: Edit permissions for Project (before and after some update of Phabricator). The bug can be closed, thanks to all of you ! I was sure there is solution like that. But what abbreviation is for Project object ? d.maznekov created T10255: Edit permissions for Project (before and after some update of Phabricator). d.maznekov added a comment to D8598: Allow filtering of "date" custom fields. d.maznekov updated Q196: Phab overwrites hgrc on existing HG repositories from to Phab overwrites hgrc on existing HG repositories. d.maznekov added a comment to T4207: Implement (tree) subtasks, as distinct from (graph) task dependencies. In case anyone might find it useful I put up P1828. It's my first libphutil script so it's a bit messy and you have to hardcode some of your specific server and user info but so it goes. It generates remarkup-ready dot code with a graph of the specified project's ticket dependencies. d.maznekov awarded T7924: Unprototype Calendar (v1) a Mountain of Wealth token. d.maznekov added a comment to T4279: Improve auth/LDAP import tools to assist in linking/merging accounts and migrations across providers.